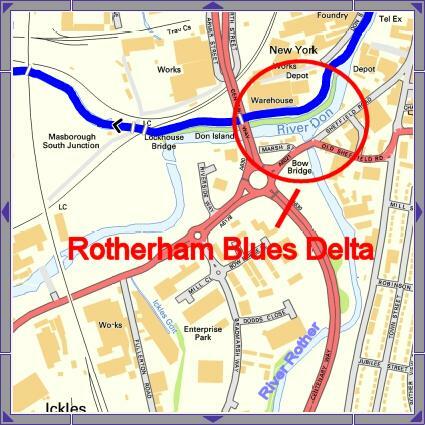 Although there are some who mistakenly believe that delta blues originated in the Louisiana basin or delta, or even more misleadingly, the (unlikely) Mississippi delta, the blues did in fact originate in Rotherham, South Yorkshire in England. In 1906 there was a move by the long titled Sheffield, Rotherham, Barnsley, Wakefield, Hull and Goole Railway to acquire the Sheffield Canal Company and provide itself with a city terminus. Wilfred Cuthbert Higginbottom, (later to be known as Blind Lemon Higginbottom) who was working for Steel, Peech and Tozer, a well known steelworks on the edge of Rotherham, became the leader of a protest movement called the 'turnpike' revolt or the Brigantes strike. This protest ceased when Wilfred was accidentally blinded in a bizarre accident. He was crushing lemons for the strikers one day when the juice from the lemon squirted into his eye. In an involuntary movement, probably exacerbated by the large amounts of sarsaparilla laced with vodka (showing an admirable solidarity with the labour movement in Russia), he wiped his eye with the back of his hand forgetting the large ring on his finger which wounded him severely causing loss of sight. Out of work and penniless he wandered the streets of Masbrough and the nearby New York area playing the spoons and ukulele for money thrown in his hat. Being Yorkshire he could see perfectly well with one eye but didn't let on so that people would take pity on him. The winters in Rotherham being decidedly bleak, Wilfred and his mates were often blue with cold playing on the streets. Thus they were said to be 'playing the blues'. 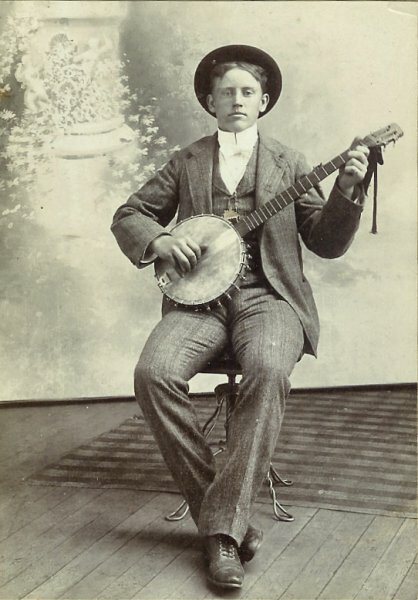 He joined up with Ickles Red on ukulele and 'howling' Maurice Postlethwaite on banjo for memorable pavement concerts in and around the streets near to Guest and Chrimes at New York (so called as Guest and Chrimes produced the fire hydrants for the city of New York) in what came to be known as the blues delta. Today, Rotherham Football Clubs New York Stadium occupies the New York site alongside the listed Guest and Chrimes buildings. So from lowly beginnings and the Yorkshire ethos (see below) did the birth of the delta blues begin. Translation: 'Hear all, see all, say nothing; Eat all, drink all, pay nothing; And if ever you do anything for nothing - Do it for yourself. Many years later descendants of Blind Lemon Higginbottom went to Mississippi on an expedition to take black pudding to the natives of that area and Blind Lemon's descendants passed on what little they knew of the blues. It is from this misleading event that we feel the incorrect facts about the Mississippi delta arise. An area known as the Rotherham Blues Delta which includes Sheffield to Keadby Canal, the river Don, Browns Cut and the river Rother. - An area of land, almost a crescent shape through Masbrough and Ickles, on the edge of the town of Rotherham, became well known in the late 18th / early 19th centuries through its involvement in iron and steel making and there could be found the works of many of the towns iron masters. Situated between the main turnpike road linking Rotherham and Sheffield and the River Don was built the Phoenix Works, a leading manufacturer of large iron forgings, made using water powered tilt hammers. Rodreham 1086 (DB). 'Homestead or village on the River Rother'. Celtic river-name (meaning 'chief river'). The Brigantes were a Celtic tribe who in pre-Roman times controlled the largest section of Northern England and a significant part of the Midlands. Their kingdom was known as Brigantia, and it was centred in what was later known as Yorkshire. The Brigantes were the only Celtic tribe to have a presence in both England and Ireland, in the latter of which they could be found around Wexford, Kilkenny and Waterford. Yorkshire has played a significant part in popular music, starting with the unconventional Arthur Brown in the 1960s. During the following decade David Bowie, himself of a father from Tadcaster in North Yorkshire, hired three musicians from Hull in the form of Mick Ronson, Trevor Bolder and Mick Woodmansey; together they recorded Ziggy Stardust and the Spiders from Mars, an album that went on to become widely considered as one of the greatest and most influential of all time. Perhaps the most significant time for Yorkshire music so far was the local post-punk scene of the 1980s, where the county produced several significant bands who went on to achieve wide spread acclaim and success, including; The Sisters of Mercy, The Cult, Gang of Four, The Human League, New Model Army, Soft Cell, Chumbawamba, The Wedding Present, The Mission and The Housemartins. Pulp from Sheffield had a massive hit in the form of Common People during 1995, the song focuses on working-class Northern England life. The 2000s saw popularity of indie rock and post-punk revival bands from the area with the Kaiser Chiefs and the Arctic Monkeys, the latter of whom hold the record for the fastest-selling debut album in British music history with Whatever People Say I Am, That's What I'm Not. Historical records are imprecise on this matter so as with all Yorkshire folk tales, believe only what you know is true, it was in the paper after all!